Hunter's boar knives are used to hunt down the wounded game. 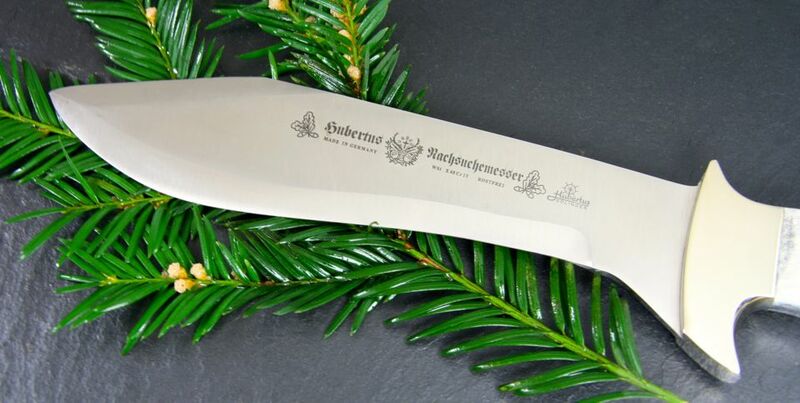 In order to ensure a safe handling these knives are equipped with a large firm blade and a distinct guard. 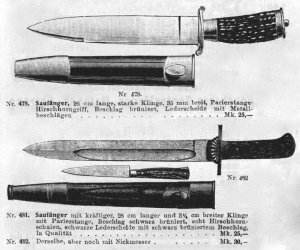 Historical terms for hunter's boar knives are "pig stickers" and "bear killers". 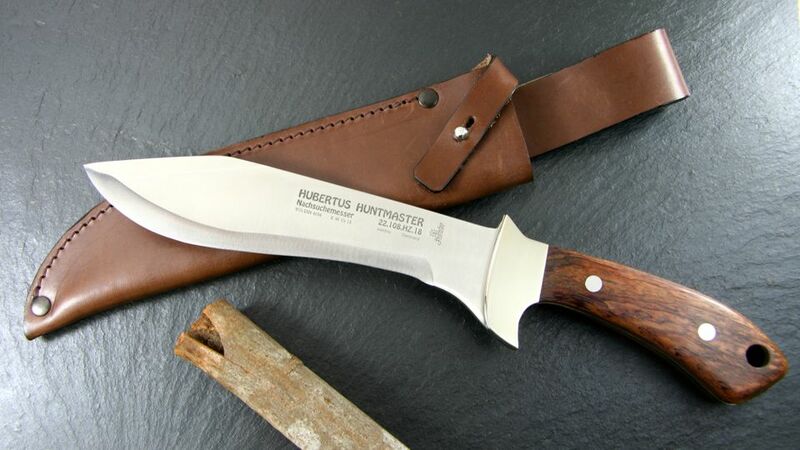 HUBERTUS hunter's boar knives are characterised by a tip of the blade which is positioned centric to the handle. The back of the blade comes with a sharp edge on the front part to ensure an easy breakthrough of the game's pelt even in wintertime. The ergonomic handle as well as a broad guard with bracing for the thumb ensures a simple and safe handling. The front part of the blade has a broader shape and is reduced towards the handle for safe penetration. 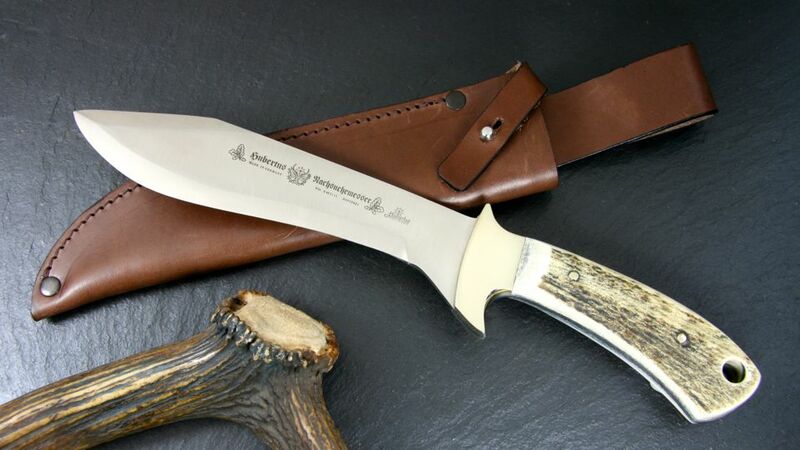 22.108.HZ.18 - Hunter's Boar Knife "Huntmaster"